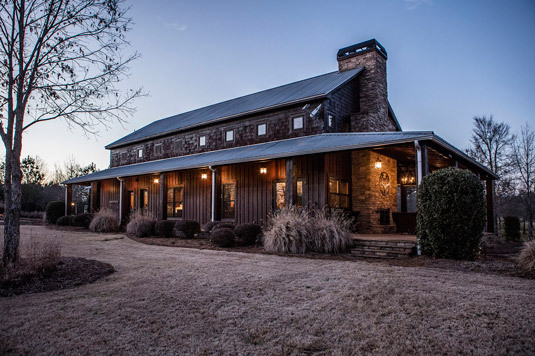 Fishing Creek Farms hosts guests among rustic elegance in four spacious buildings, which include relaxing, dining, and living spaces as well as six guest rooms with private baths. 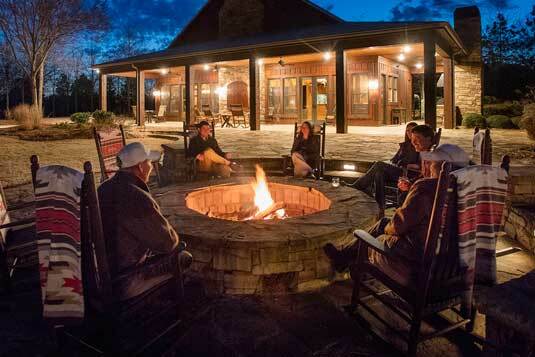 Hunters and their guests are invited to rest and rejuvenate here between hunts, and share the day’s stories in the company of friends and family. 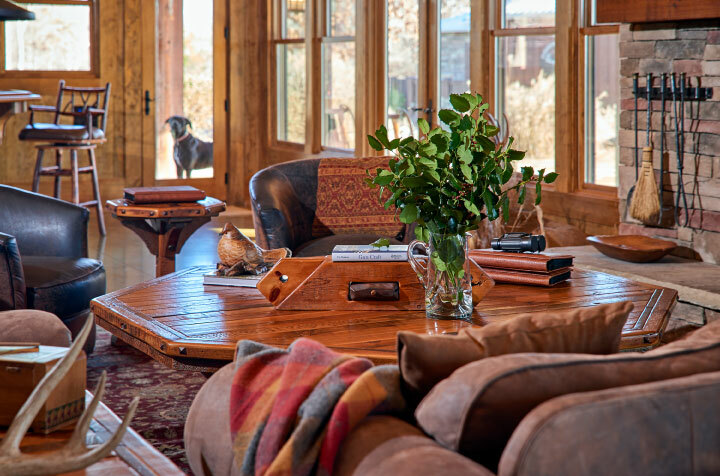 The Lodge at Fishing Creek features a large, open hall decorated in rustic elegance, with vaulted ceilings and a gallery of mounts captured on African safari hunts by the Taylor family. 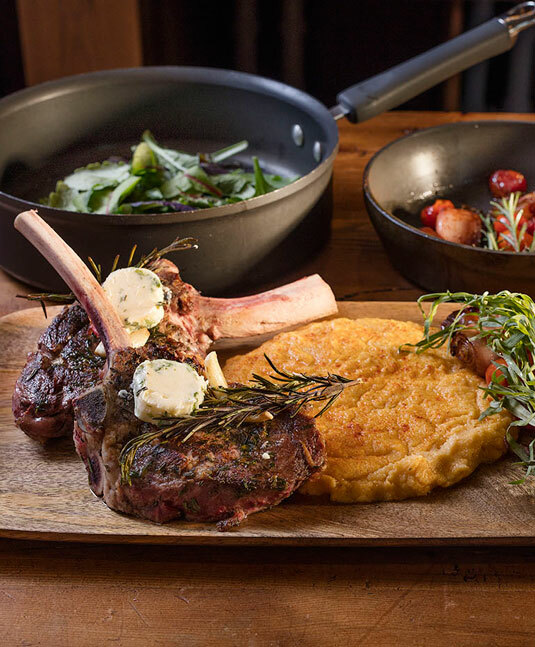 As the primary dining and communal space, the Lodge includes an open-concept kitchen and dining area, spacious living room, natural stacked-stone fireplace, and seasonal indoor/outdoor bar. 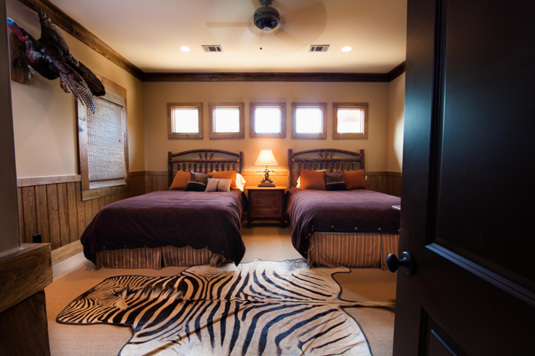 The Lodge also houses one private guest room and a gun room with lockers to store guests’ hunting gear. 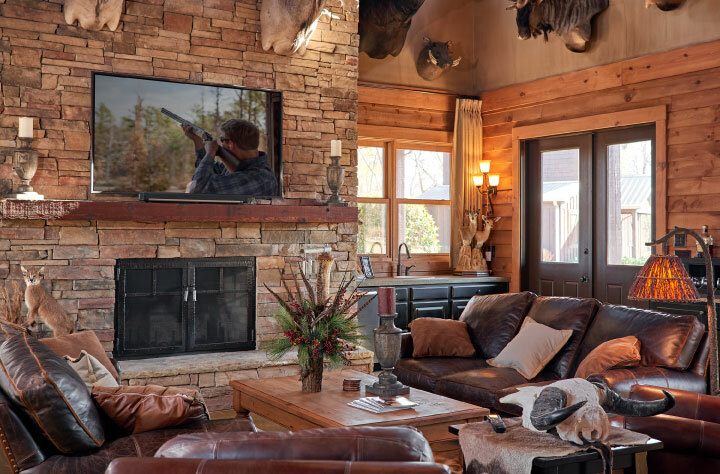 After a day of hunting, guests may enjoy leisure time in the Side-By-Side, full of luxurious rustic charm, with a marble−and−wood bar, stacked stone fireplace, cozy seating area and handcrafted, custom−made pool table. 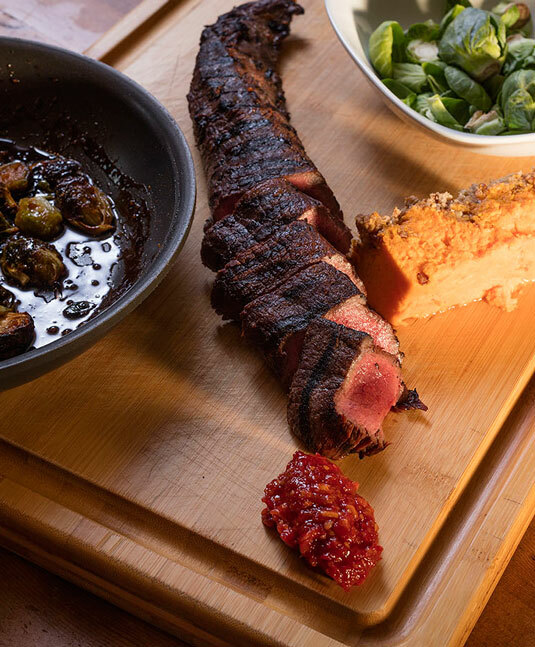 The décor highlights the history of Fishing Creek Farms and its whitetail deer operation. 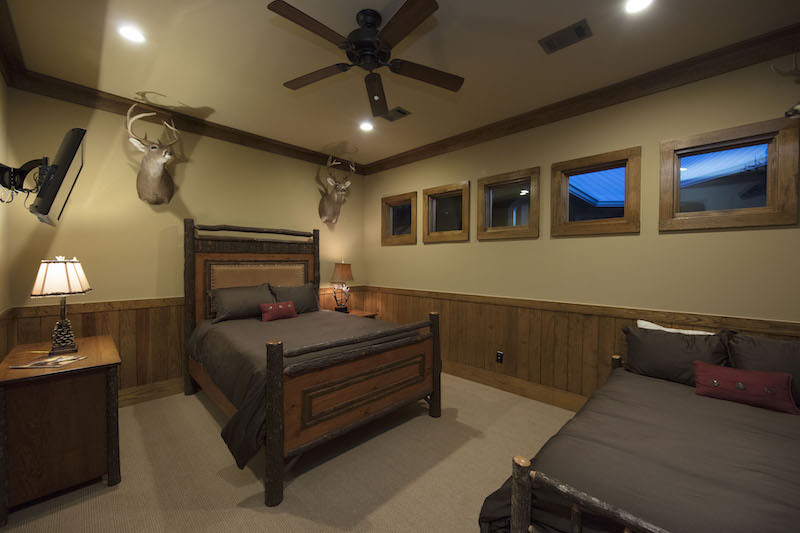 The Side-By-Side also houses two private guest rooms with individual baths. 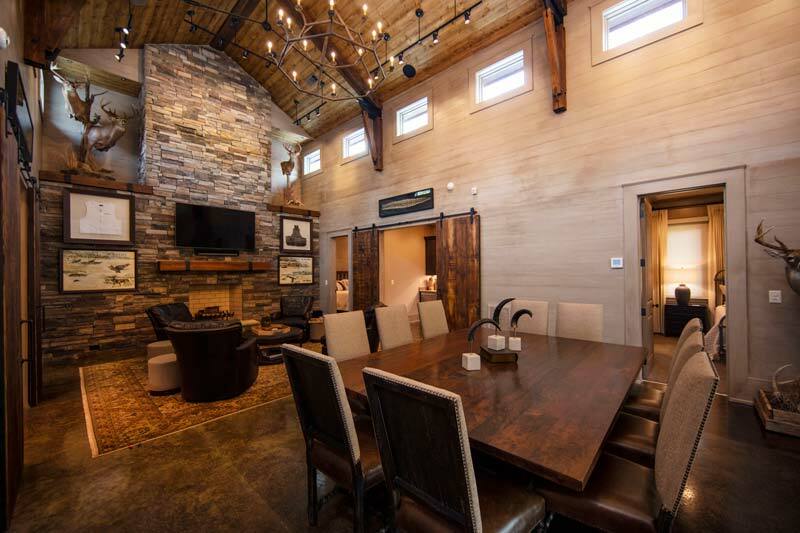 The Matched Pair conference building delivers four executive suites, each with private bathrooms. 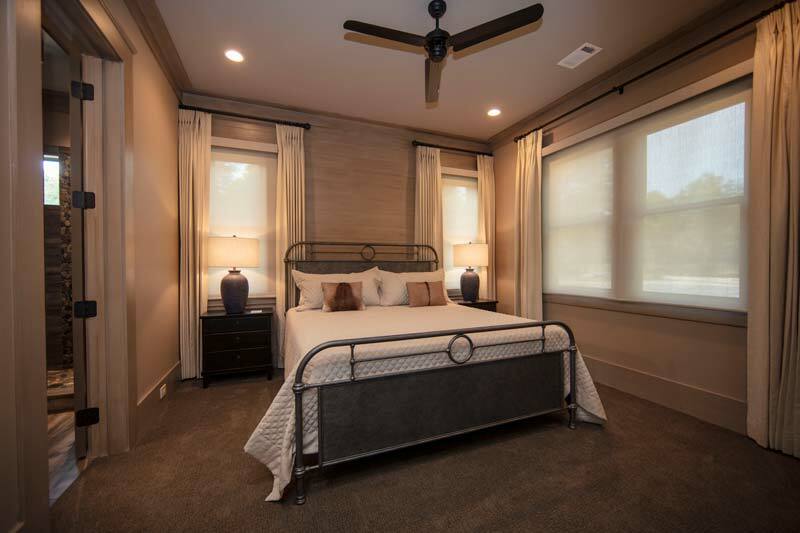 These suites are appointed with premium furnishings and exquisite linens. In addition to these suites, The Matched Pair provides a state-of -the-art conference facility and meeting venue for our guests. 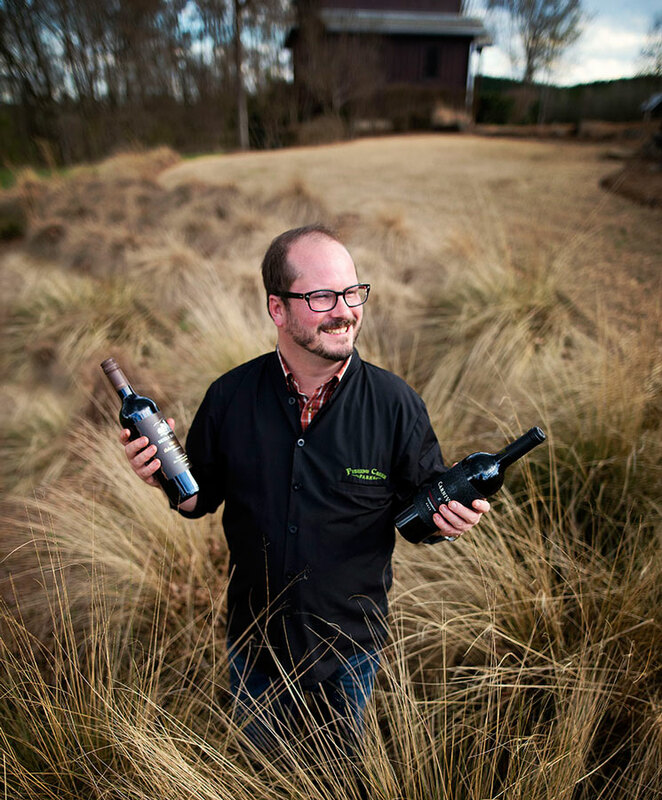 Two private suites, each with private bathroom, are located in a two-story building overlooking the central lawn. 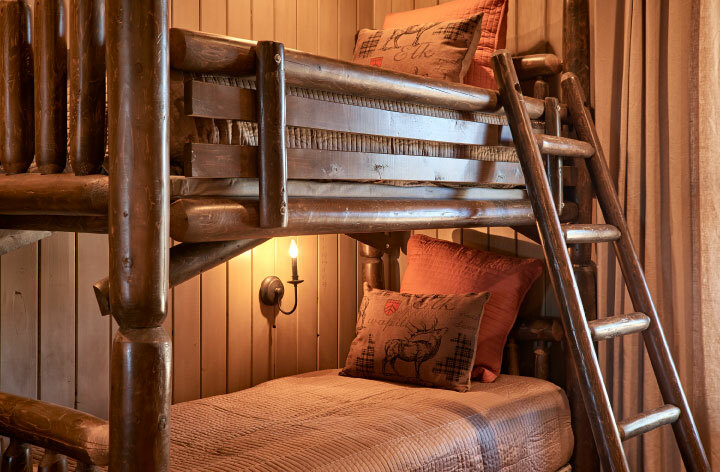 These rooms, known as the Over & Under suites are appointed with similar furnishings, linens, and decor as the other buildings, and offer a quiet respite away from the common areas of the Lodge and Side-By-Side. 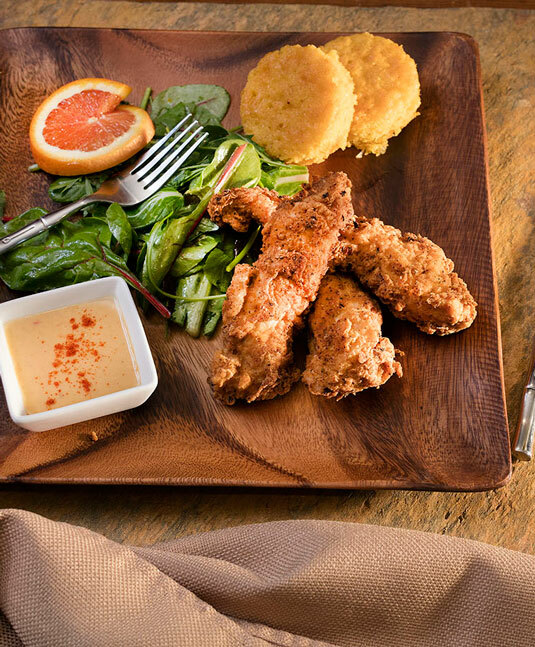 The ninth and final private room on the property is located in the Bunkhouse, the first original structure built at Fishing Creek Farms. 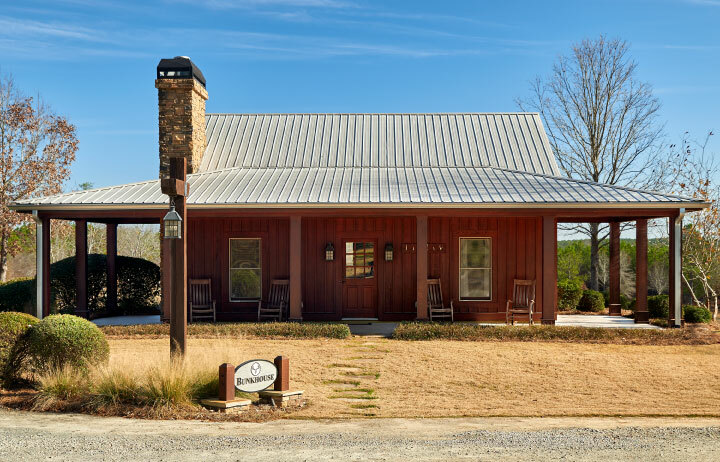 Set a few hundred yards away from the other buildings, the Bunkhouse offers an elegant and refined cabin−style setting with full kitchenette, fireplace and sitting area. 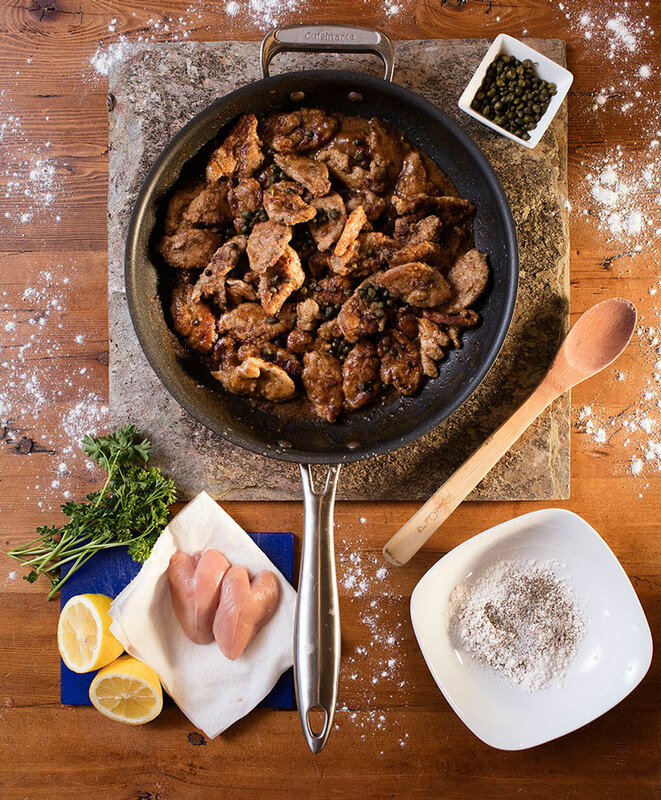 Our food and beverages offer an unsurpassed culinary respite after a day of hunting. 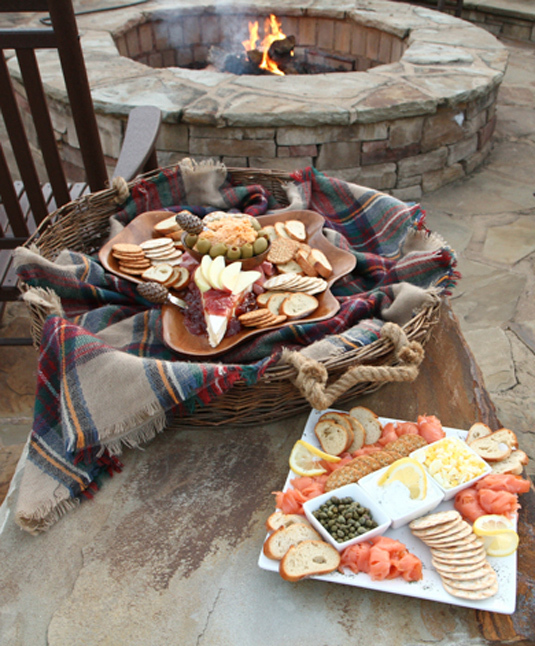 Wine is paired with every meal, and Fishing Creek also maintains a selection of top-shelf beverages for aperitifs and after-hunt lounging. 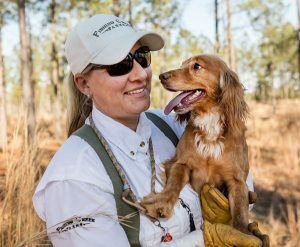 To make reservations for your quail hunting party at Fishing Creek Farms, email your requested dates, party size, and other details to our wingshooting manager, Tyla Kuhn. 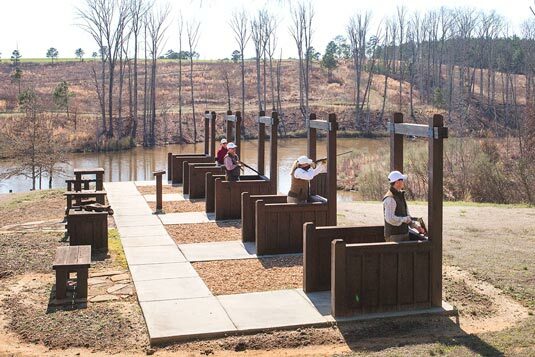 Fishing Creek Farms is a 1000 acre farm in Union Point, Georgia that has private deer hunting and 400 acres for commercial quail hunting. 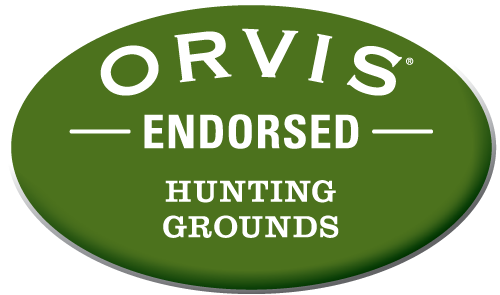 The Fishing Creek Farms team is dedicated to creating enjoyable and relaxing hunting experiences for small groups of family and friends.